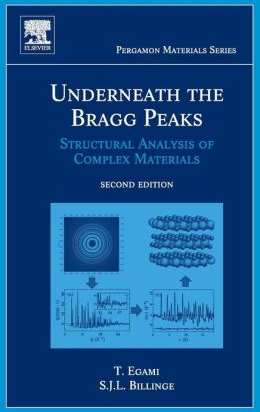 Ten years ago, Professor Billinge and his former PhD adviser Professor Takeshi Egami wrote what has become a classic book on the PDF technique, entitled Underneath the Bragg Peaks: Structural Analysis of Complex Materials. The book has been in high demand since its publication, and it sold out rather quickly. We are excited to announce that the second edition will be available in print shortly. This updated edition retains the same thorough introduction and discussion of all theoretical and experimental aspects of the PDF technique that appeared in the first edition, but also reflects the exciting new developments that have taken place in the field over the past ten years. We hope you enjoy it and use it!